Founded in France in 2008 by three brothers, Alexandre, Laurent and Raphaël Elicha, The Kooples was an overnight success. Its accessible high-end product positioning and an identity centered on the concept of fashion for couples, sets the dandy rock brand apart from competitors. In 2014, the company’s turnover was 300 million Euros and it counts more than 850 employees worldwide. The Kooples controls its entire supply chain, from design to distribution. 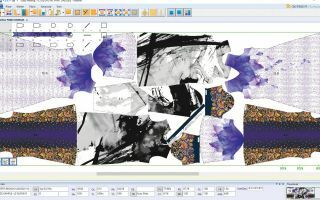 Lectra has accompanied the brand from the very beginning; its product development department has been using the standard version of Modaris on a daily basis for patternmaking. To continue building on its current success, the company’s priorities are now to widen its product range by introducing sportswear and childrenswear lines, as well as to expand business internationally, particularly in Europe and the United States. Looking to sustain its growth and manage the increase in collection volume, The Kooples has chosen to upgrade to the expert version of Modaris. The company needed to boost its responsiveness at the product development stage without sacrificing the quality of its clothing, whose minimalist design and unique fit are immediately recognizable. “Lectra understands the fashion industry perfectly and knows it does not permit mistakes. Every new collection has to appeal to customers. The expert version of Modaris allows for greater creativity and makes it easier for patternmakers to respect the brand’s DNA,” declares Emmanuel Stern, The Kooples CEO. The most advanced version of Modaris has allowed the product development department to perfect its patternmaking process and the company to expand its collections without growing its team. “The Kooples’ strategy centers on innovation, which is also one of Lectra’s founding values. We are happy to accompany this new iconic French company in its international growth,” comments Karen Elalouf, Managing Director, Lectra France. The Kooples was founded in Paris in 2008 by three French brothers, Alexandre, Laurent and Raphael Elicha. Traditional craftsmanship and innovation are the cornerstones of the House’s approach. The Kooples’s philosophy focuses on reworking the British art of bespoke tailoring, offering contemporary and effortlessly cool silhouettes with a Parisian twist for both women and men. It unravels the traditional notion of separate men’s and women’s clothing and creates concepts which fuse and mingle the collections. The embodiment of a pioneering spirit, The Kooples consistently breaks new ground and has extended its ready-to- wear expertise to include shoes, accessories and watches, all available in its exclusive network of stores. 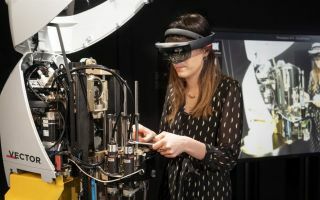 Lectra is the world leader in integrated technology solutions that automate, streamline and accelerate product design, development and manufacturing processes for industries using soft materials. Lectra develops the most advanced specialized software and cutting systems and provides associated services to a broad array of markets including fashion (apparel, accessories, footwear), automotive (car seats and interiors, airbags), furniture, as well as a wide variety of other market sectors, such as aeronautical and marine industries, wind power and personal protective equipment. Lectra serves 23,000 customers in more than 100 countries with 1,500 employees, and registered revenues of $281 million in 2014. The company is listed on Euronext.